The RANGER XP 900 EPS Vogue Silver Deluxe will feature Vogue Silver paint, half doors, Silver and Black Cut-and Sew seats, premium steering wheel, center console, Electronic Power Steering (EPS) and a new Interactive Digital Display developed by Polaris, similar to the system on the RZR XP 1000 Desert and and RZR 900 XC Editions. 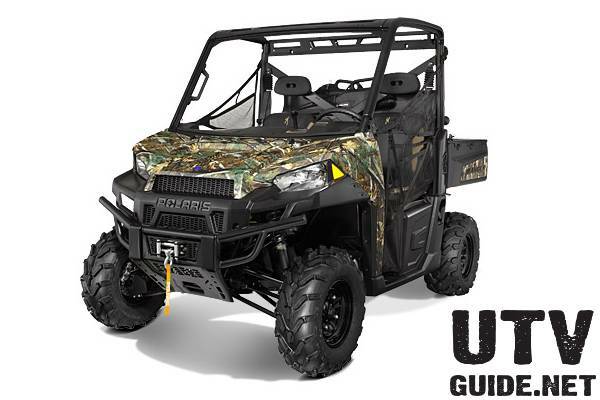 For the extreme hunter, the RANGER XP 900 EPS Hunter Deluxe Edition in Polaris Pursuit® Camo has matching PRO-FIT camouflage cab with a glass, tip-out windshield, doors and a rear glass panel. 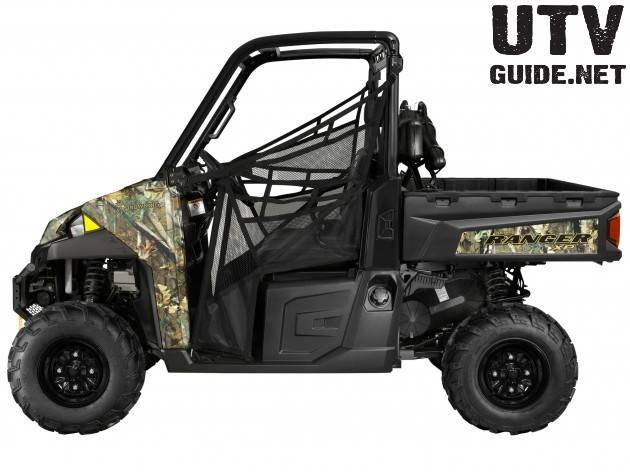 The vehicle also features front and rear brush guards, and nerf bars, standard EPS and Engine Braking System (EBS), Polaris PRO HD 4,500-lb/2041 kg winch, heated seats and for the ultimate in storage, a Lock &amp; Ride Box and Gun Scabbards. To tackle the extreme cold, the RANGER XP 900 EPS NorthStar Edition offers a premium cold-weather package offering enhanced comfort and convenience. With its full PRO-FIT cab with fixed-glass windshield and rear glass panel, heater with defrost, and heated seats, the operator can work in even the most-extreme cold; while its windshield wipers, dome light and rear view mirror provide convenience not found on an ordinary side-by-side. 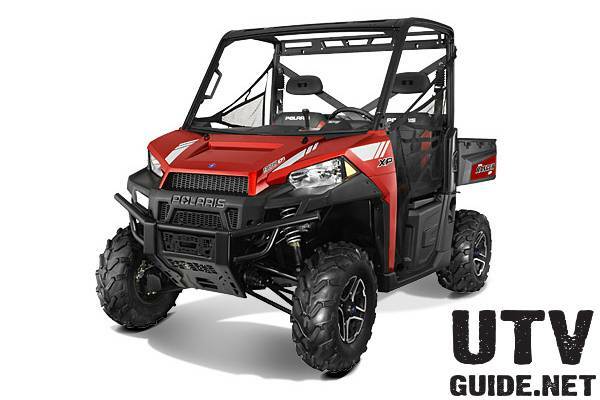 The RANGER XP 900 EPS NorthStar Edition is available in Sunset Red paint. 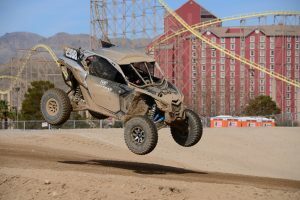 For 2015, the RANGER XP 900 will feature a recalibrated, high output ProStar 900 engine that churns out 68 horsepower, a 13 percent increase, and keeps the vehicle as the class-leader in torque. New, intake openings, on the pillars behind the driver and passenger, allow for improved airflow for the engine and clutch air intake systems. For a new look, the vehicles also feature edgier headrests, and new graphics packages and colors. The 2015 RANGER XP 900 and RANGER CREW 900 will be available in Sage Green and Solar Red, with a RANGER XP 900 also available in Polaris Pursuit® Camo. The RANGER XP 900 EPS will be available in Sage Green, Solar Red, Sunset Red, Super Steel Gray, White Lightning, Black Pearl and Hunter Edition. The RANGER CREW 900 EPS will be available in Sunset Red, Super Steel Gray, White Lightning and Polaris Pursuit Camo. All vehicles will be in dealerships in June. 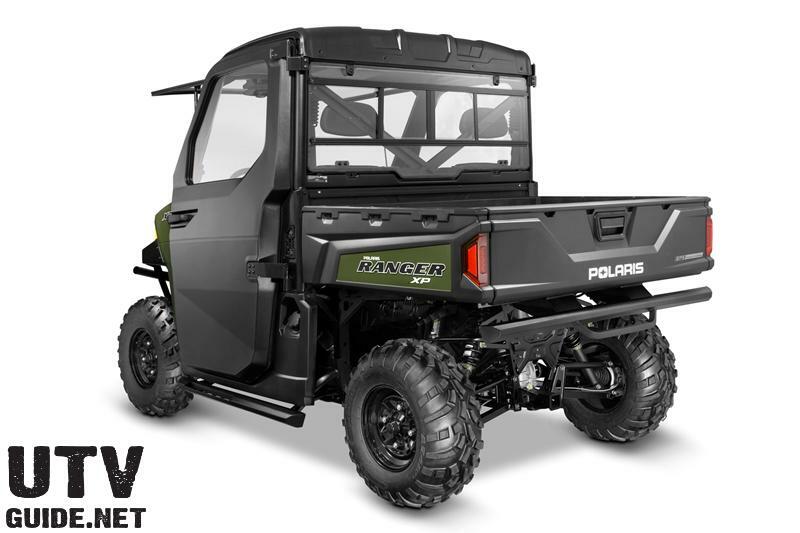 The Polaris RANGER line is the Hardest Working, Smoothest Riding utility vehicles on the market offering full size, midsize, and multi-passenger vehicles for hunt, farm and trail. 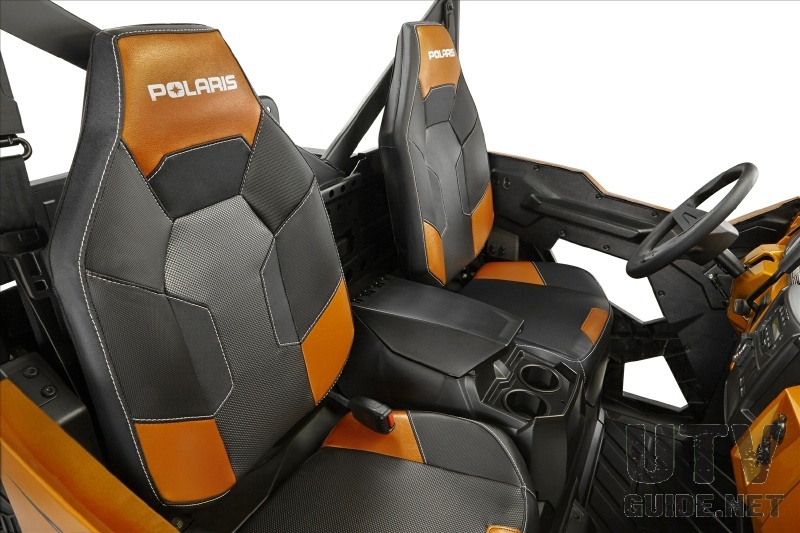 For Model Year 2013, Polaris will add two new vehicles to the already comprehensive line-up. 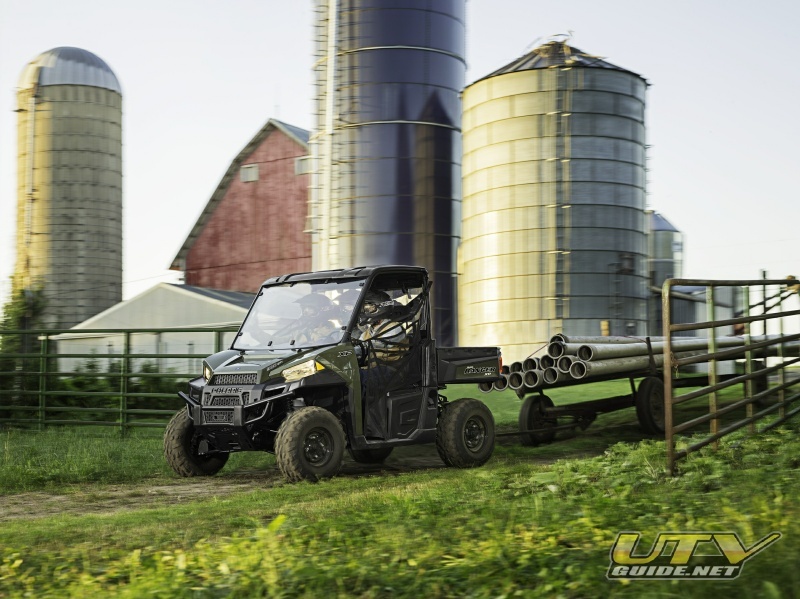 Defining an all new class of Hardest Working, Smoothest Riding is the new full size RANGER XP 900; and the newRANGER 800 Midsize combines the 800cc engine with the midsize chassis for a spirited, addition that adds another value model to the family. 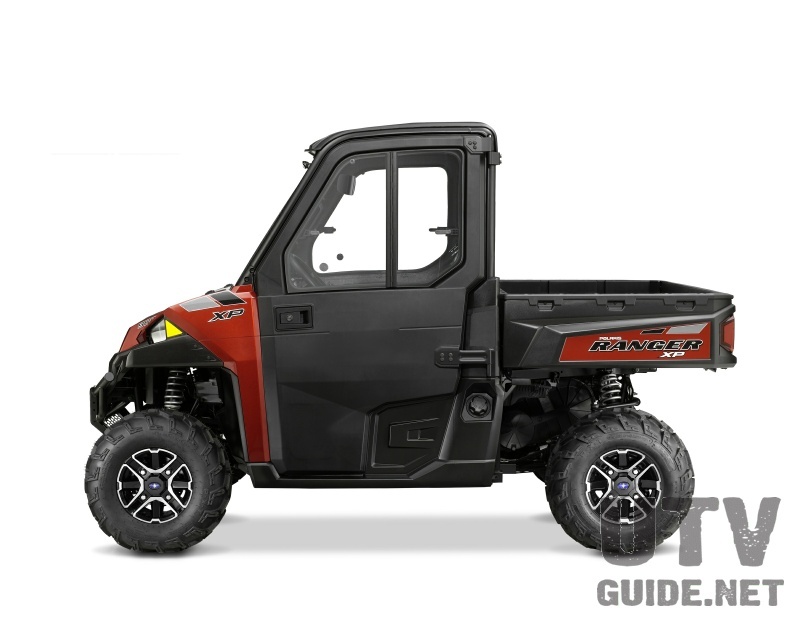 Back for 2013 is the industry-leading, full size RANGER 800 EFI, the standard of Hardest Working, Smoothest Riding but for 2013, Polaris also welcomes an all new class of Hardest Working, Smoothest Riding with the new, full size RANGER XP 900. Innovations such as a new ProStar 900 engine, all-new chassis, new restyled cockpit, more suspension, new flip-up seat storage, new Lock & Ride PRO-FIT cab accessories, larger gas tank, easier serviceability and a quieter ride due to engine repositioning define a whole new class of utility side-by-side. 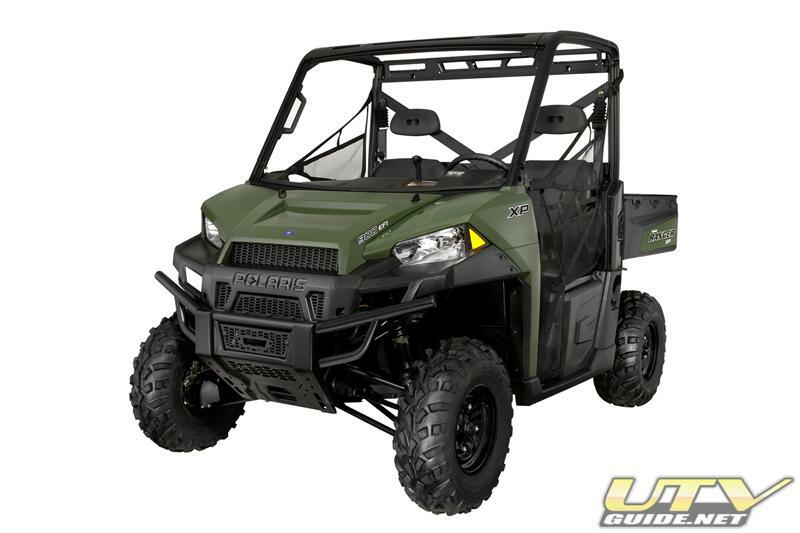 The RANGER XP 900 will join the RANGER 800 EFI and RANGER Diesel in the full size category. 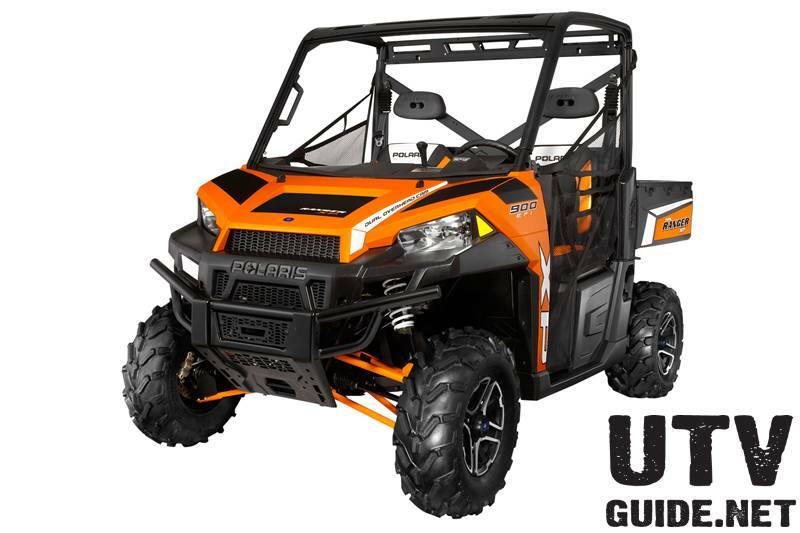 To complement the ProStar engine, the RANGER XP 900 features a new, durable drivetrain built to handle the units higher horsepower. It also boasts the strongest belt on a RANGER vehicle so it can tackle the toughest of jobs, and has powerful cooling for the belt and clutches for optimal performance under all work conditions. Storage is important for work applications and the new RANGER XP 900 offers the most storage in its class. For easier accessibility, the new under-seat storage features flip-up access giving the operator increased and easier-accessible storage inside the cab, and the vehicle features lots of in-dash storage youve grown to expect from RANGER. 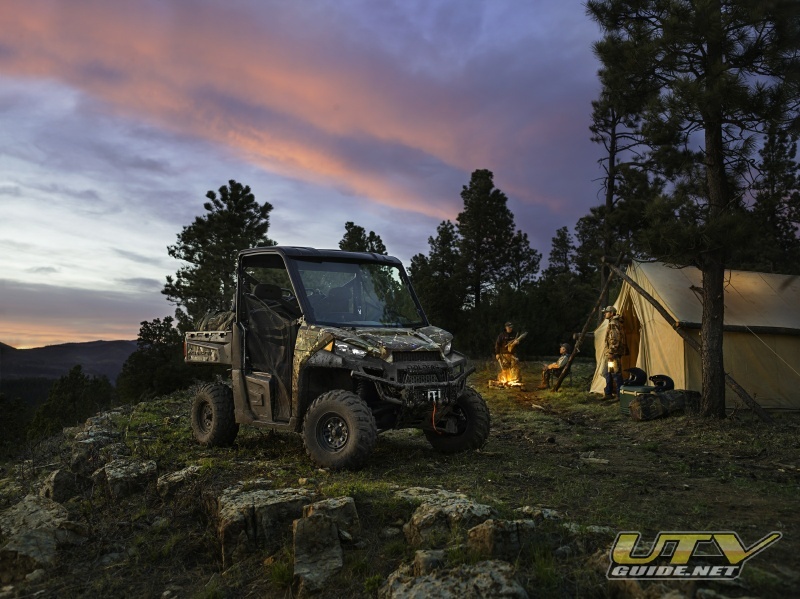 Outside the cab, the RANGER XP 900 offers a new harder working cargo box featuring more tie-down points, easily-inserted box dividers and a smoother gate release. The cargo box has a 1,000 lb/453.6 kg capacity, can fit a pallet and is compatible with Lock & Ride accessories so it can tackle any hauling project thrown its way. 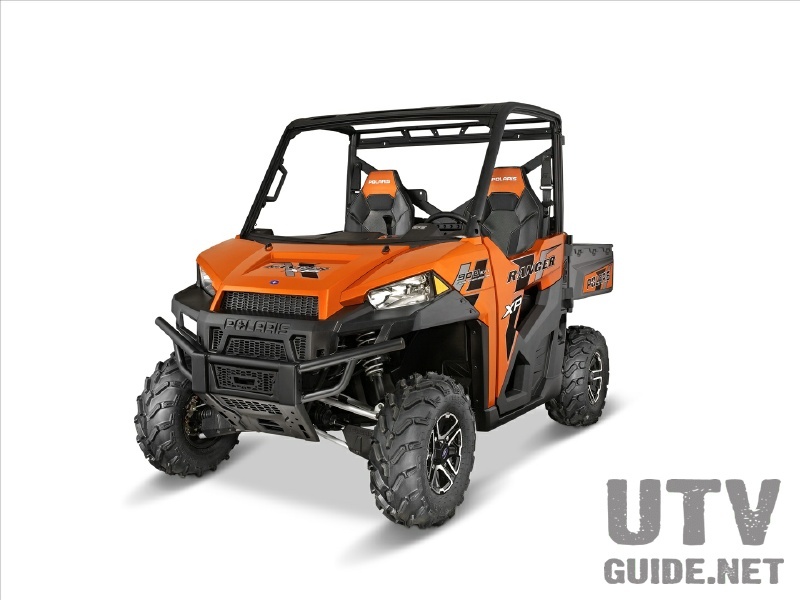 The RANGER XP 900 has a wide variety of accessories available for a variety of work applications. 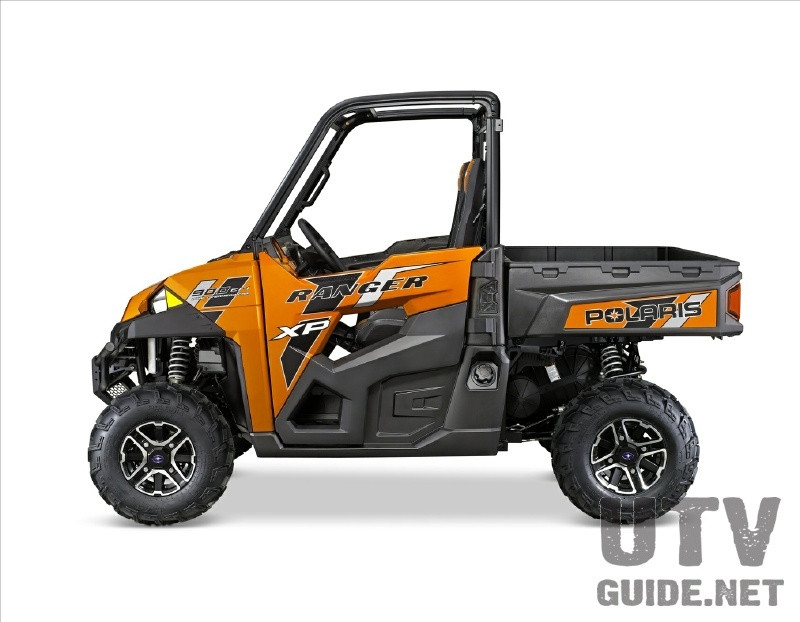 To ensure the unit is hard working, Polaris equipped it with a high capacity battery and new stator for 30 percent more electrical power to run more accessories at one time. The unit also features a new, easier to install winch mount for faster installation of one of the most popular accessories for a work vehicle. 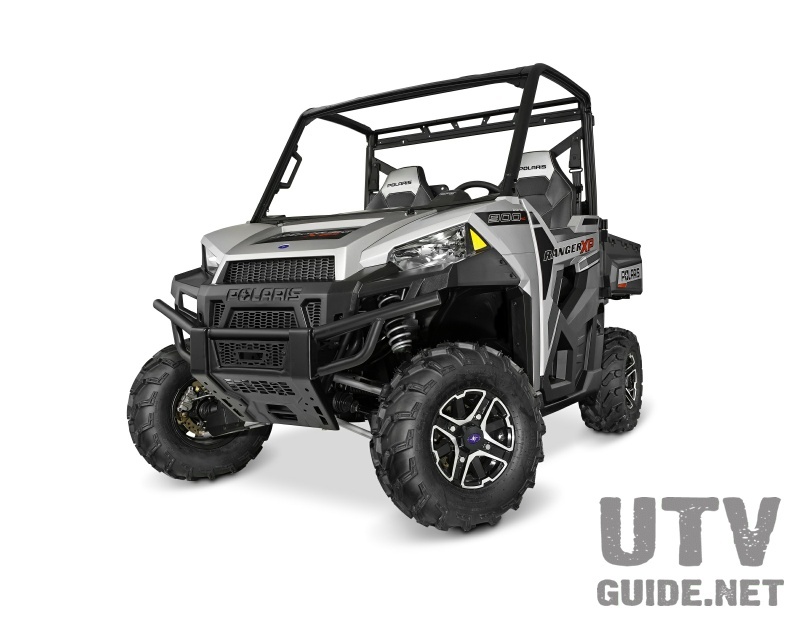 Built exclusively for the new RANGER XP 900, Pure Polaris is offering new PRO Accessories. The collection includes a revolutionary, high-quality PRO-FIT line of cab accessories; a versatile, premium-quality Glacier PRO Plow System; and durable Polaris HD PRO Winches. 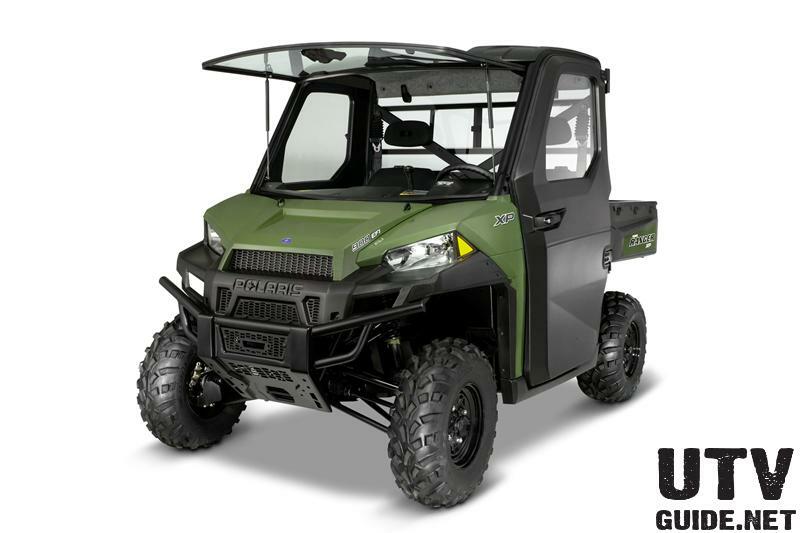 One of the most exciting, new accessory offerings available for RANGER XP 900 is the newLock & Ride PRO-FIT cab accessories designed for total integration with the newest RANGER family member. The cab frame on the new RANGER XP 900 features profile tubing, providing a 360-degree sealing surface for every cab component. Windshields, roofs, doors and rear panels follow the shape of the vehicle, locking directly into the cab frames precision contours. Many PRO-FIT cab components feature Polaris-exclusive Lock & Ride technology for quick and easy on and off, and are 60 percent quieter at idle, and 40 percent quieter at 20 mph/32.2 kph. For work applications, PURE Polaris is offering a new Speedkey System that is remarkably smooth at the top speed limiter. The Yellow key limits the vehicles speed to 25 mph/40.2 km and is perfect for controlling speed during work-related projects or when lower speeds are needed. 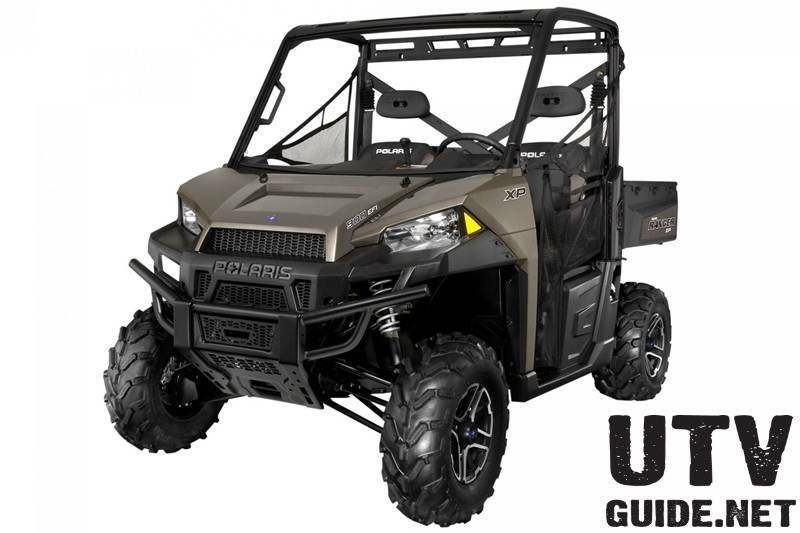 Along with these exciting products, Pure Polaris will have a full line up of accessories for the RANGER XP 900 making it one of the hardest working vehicles on the market. 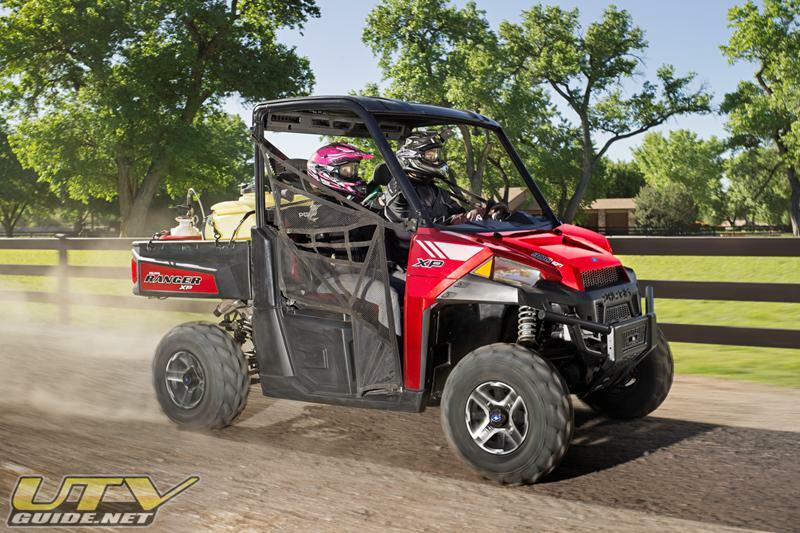 To complement the hardest working features of the RANGER XP 900, the restyled cockpit and chassis are the new class of smoothest riding. The completely redesigned cockpit fits three people more comfortably and offers class-leading ergonomics. The lower seat, with adjustable drivers seat on Limited Edition models, and tilt steering gives occupants more options in comfort, and the new seat belts are easier to use. New center-mounted gauges give the operator one place to look for ride data and the easy access to storage under the seat means tasks are done quicker and more efficiently. 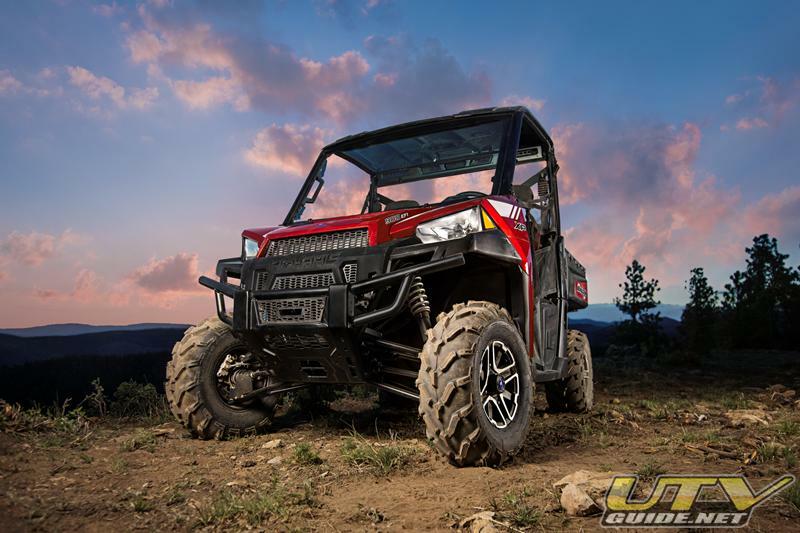 For an incredibly smooth ride and optimal handling, the RANGER XP 900 has an all-new chassis that is more rigid, with increased torsional stiffness. This delivers a smoother ride, low vibration, and the ability to tackle anything that stands in its way. 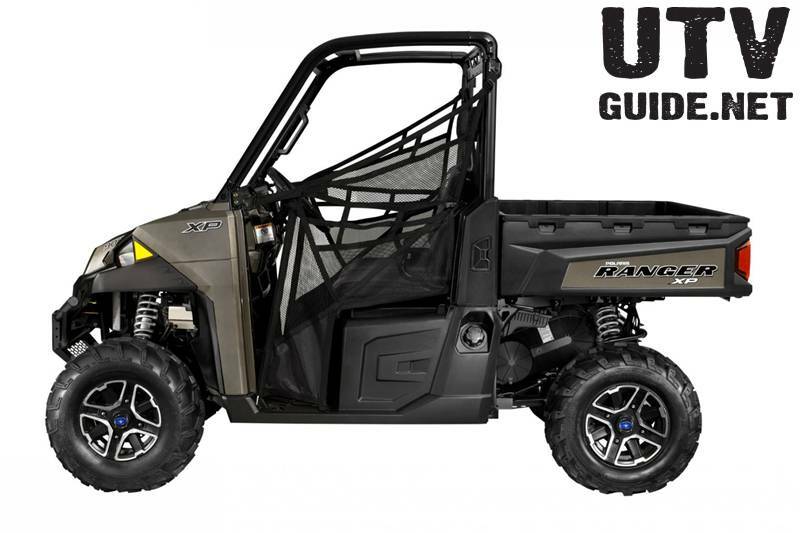 The RANGER XP 900 has easy steering with or without Electronic Power Steering (EPS), and features 5 in/12.7 cm more wheelbase, 1 in/2.5 cm more travel and 12 in/30.5 cm of ground clearance. 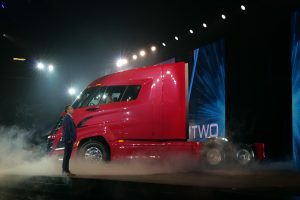 For increased visibility, the unit also features 25 percent brighter head lights that project more than 30 percent further adding 100 ft/30.48 meters of additional visibility. The RANGER XP 900 is not only a new class of Hardest Working, Smoothest Riding, but also is easy to own and maintain. The wet sump engine, which offers 100 hours between service intervals, is easily accessed from under the rear cargo box, and has an easily accessible oil check and fill. The unit also features metric fasteners for most parts and grease zerks to flush joints. 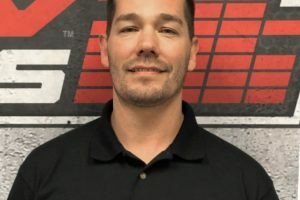 For drivers ease, there is fuel access on the drivers side and a 11 percent bigger gas tank that holds 10 gal/37.85 liters making gassing up more convenient and less frequent. The RANGER XP 900 is available in Sage Green and Solar Red, with or without EPS, and Polaris Pursuit Camo. Limited Edition models include Sunset Red and Orange Madness, both offered with or without EPS. A Browning EPS model and an Audio Edition in Bronze Mist with an integrated Audio System including two dash-mount speakers and will be sold in limited quantities. (L x W x H) 116.5 x 60 x 76 in. The RANGER XP 900 Deluxe in Nuclear Sunset Orange takes the power of the RANGER XP 900 EPS and couples it with a new cockpit to appeal to the recreational rider. The more-utilitarian bench seat was replaced with bolstered cut-and-sew bucket seats featuring an adjustable drivers seat and center console with integrated storage for improved comfort and ergonomics. 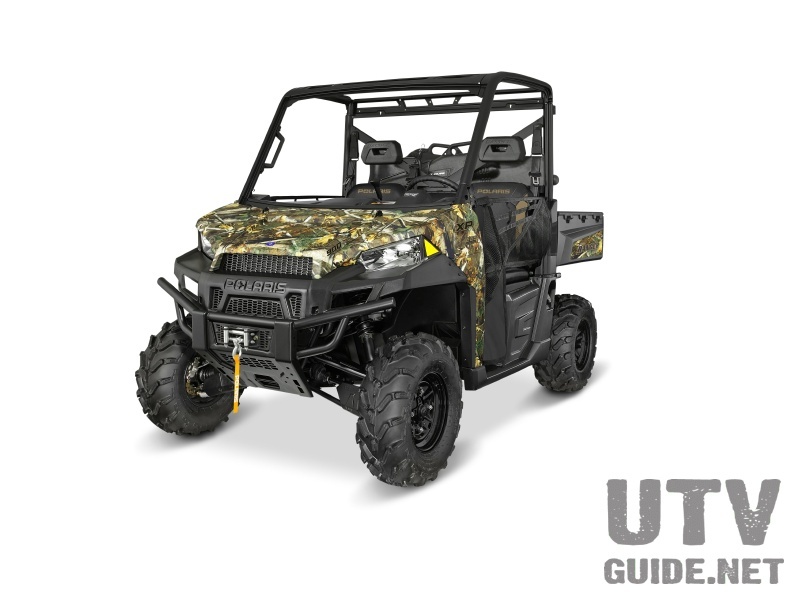 Color-matched half doors provide trail riders with more protection from branches and mud, while the factory-installed audio system in the dash provides endless tunes on the trail. When the operator is done having fun, the RANGER XP 900 Deluxe is still a formidable work partner due to RANGERs hardest working features such as On-Demand True All-Wheel Drive, one-ton/907.2 kg towing, 1000 lb/453.6 kg box capacity and 1500 lb/680.4 kg total payload. 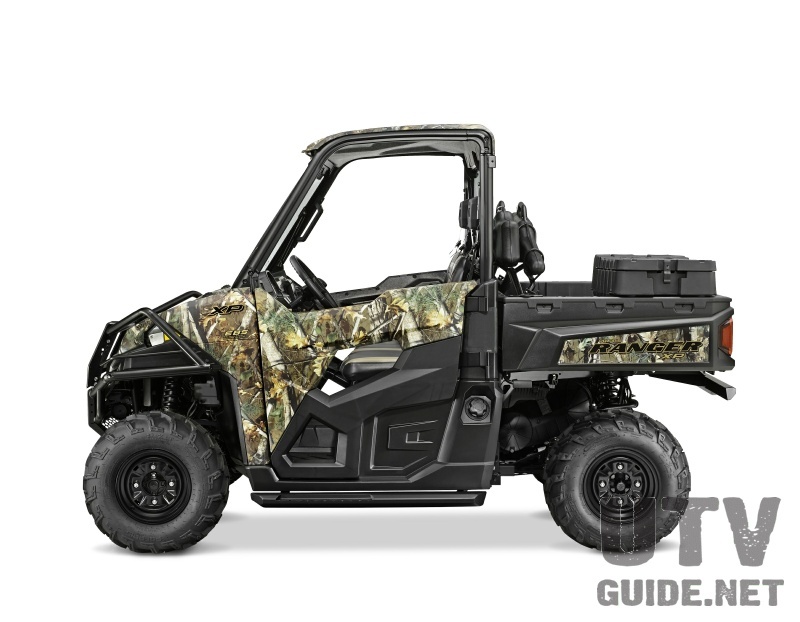 For added convenience, the RANGER XP 900 Deluxes cab frame also readily accepts Polaris Pro-Fit Cab systems and the vehicles bed is Lock & Ride® capable making it quick and easy to turn the unit into a recreational vehicle or work partner. 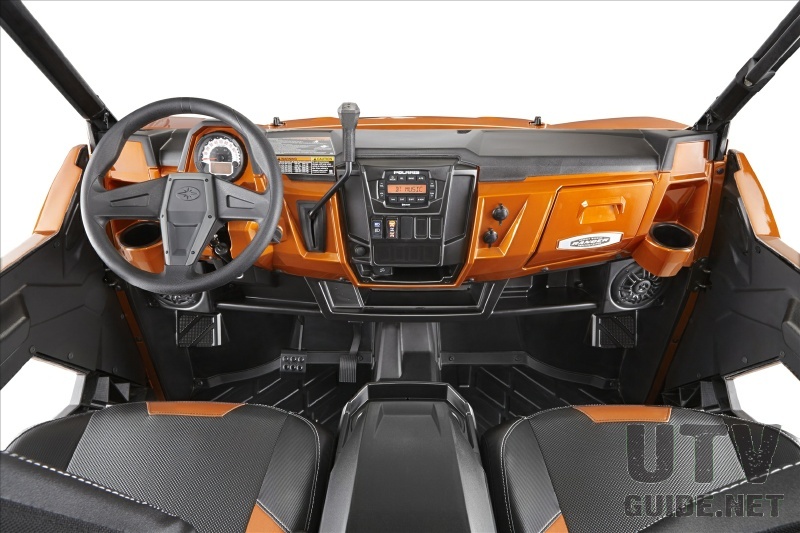 The new Lock & RidePRO-FIT cab accessories from Pure Polaris are designed for total integration with the all-new 2013 RANGER XP 900. Thats an industry first. The vehicle and its accessories were literally made for each other. From the inception of the RANGER XP 900, the goal was to use total integration to create an industry-leading cab of the highest quality. The vehicle is designed around the cab, instead of the cab being designed around the vehicle. The cab frame on the new 2013 RANGER XP 900 features profile tubing, providing a 360-degree sealing surface for every cab component. Windshields, roofs, doors and rear panels follow the shape of the vehicle, locking directly into the cab frames precision contours. That eliminates gaps for a secure fit, a better-sealing cab, game-changing fast installation and a perfect match to the advanced styling of the new RANGER XP 900. The PRO-FIT cab systems offer a variety of ventilation features, including tip-out windshields and sliding windows on doors and rear panels. In addition, Lock & Ride PRO-FIT cabs feature industry firsts, including power windows, automotive-style interior liners for noise-dampening and Lock & Ride technology. The new Glacier PRO Plow System is a versatile, premium-quality plow designed for the 2013 RANGER XP 900. It features Lock & Ride technology, for easy plow blade installation and removal that takes just seconds. The plow system is modular in design. Consumers can choose winch or hydraulic blade lift, and manual or hydraulic blade angle. Hydraulics and winch are controlled remotely from the operators seat. 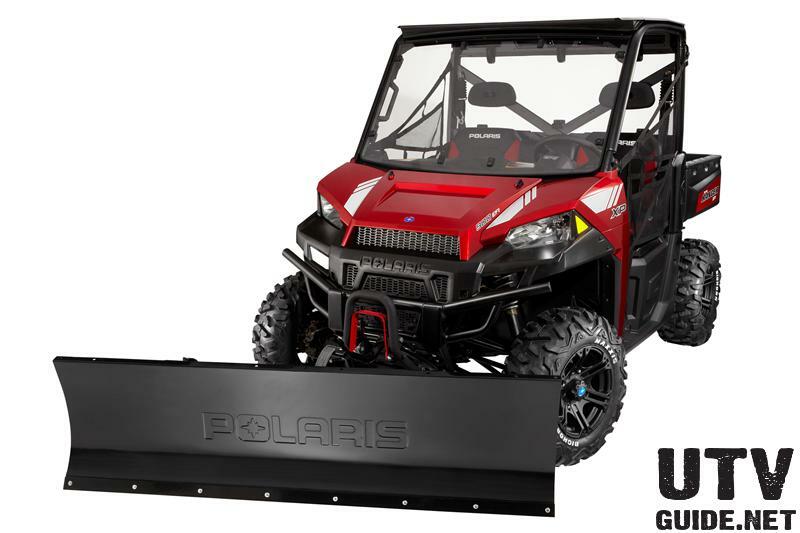 The Glacier PRO Plow System features a durable, cast plow frame, heavy-duty 18 inch steel plow blade to move a lot of snow, and up to 18-inch blade lift height. New Polaris PRO HD Winches deliver durable, versatile pulling power, with countless uses at work and during recreational riding. They are available with a 4500 lb. 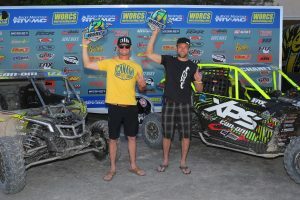 rated pull, for all RANGER and RZR models. These durable and reliable winches have many premium features, including 50 feet of strong and easy-handling synthetic rope, and an aluminum fairlead with built-in auto-stop technology. It turns the winch off automatically when the pull or lift is completed and the hook reaches the fairlead. 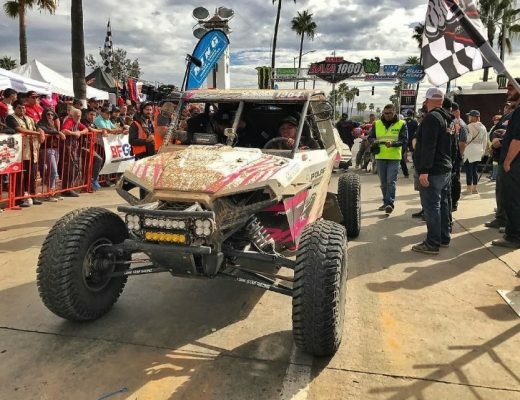 Polaris PRO HD Winches also feature hand held remote controls so the winch can be operated standing away from the vehicle or in the comfort and safety of the RANGER or RZR cab. 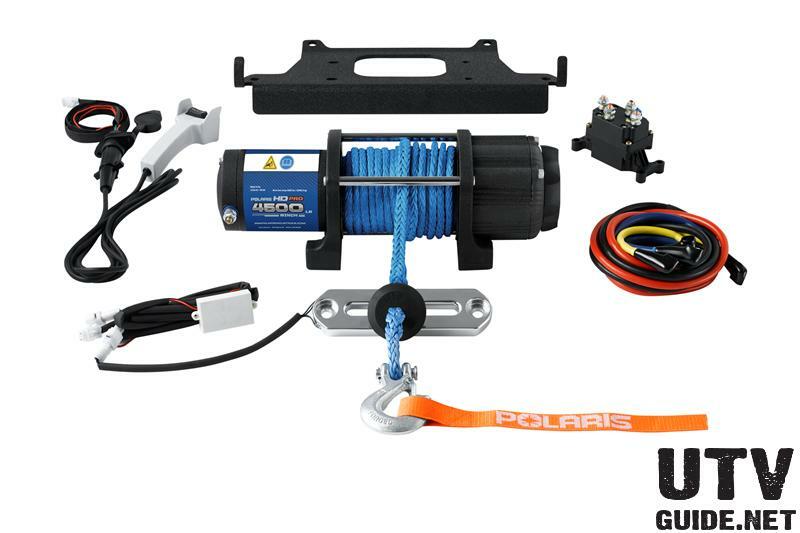 Polaris PRO HD winches also feature cut metal drive gears and a steel spool for unmatched durability and reliability, a low-voltage contactor for minimal draw on the battery, and 40% quieter spool operation.